Color: Color Grey, Red, Royal Blue, Yellow, Navy Blue, Black, White. Corporate Sleeveless Jackets is more used as fashion purpose. It is less protective but obvious useful to protect chest in low winter. It is also weared while working, it gives freedom to the arms to move. We are dealing in only Corporate Dresses. While mounting the stage of success, it has become increasingly more important for us to present a quality approved consignment of Mens Half Jacket. 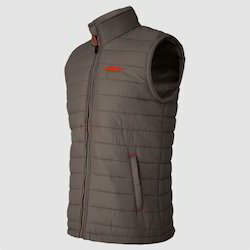 Renowned amid one of the credible and eminent business names, we are actively committed to presenting a world-class Blue Collar Sleeveless Jackets. 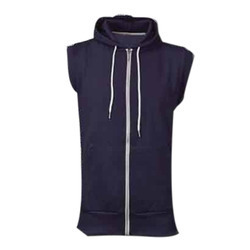 We are one of the highly reputed organizations dealing in large variety of Sleeveless Mens Jackets.